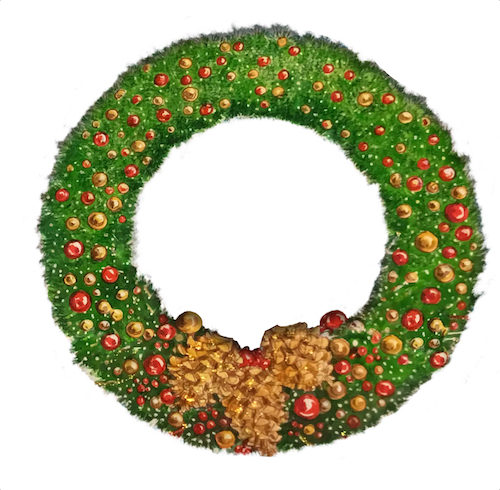 Christmas Wreaths are natural looking, hand crafted and boasting extra lush foliage – and all Made in the USA. Our Christmas wreaths are available fully lit with warm white LED mini lights and can be fully decorated with ball ornaments, specialized decorations and giant bows. Choose from our classic Mountain Pine Christmas wreaths, add flocking for 30% cost, or use our extra thick lush long needle pine foliage for your wreaths. Or make a standout piece with the added filigree sections or an oval pendant shaped wreath with carousel animals or characters sitting inside.